Most Democrats regard the Iraq War as a historic disaster. Clinton voted for that conflict. That hawkishness wasn’t a fluke. She pushed for U.S. intervention in Libya without Congressional approval and without anticipating all that has gone wrong in that country. She favored U.S. intervention in the Syrian civil war as well. Why haven’t Democrats concluded that she has dangerously bad judgment on foreign policy? She certainly hasn’t done anything to distinguish herself in that realm. Along with the Iraq War, Democrats disdained George W. Bush for the Patriot Act, his expansive views on executive power, and his awful record on transparency. Clinton voted for the Patriot Act. She shows every sign of embracing a similarly expansive view of executive power. And she took extraordinary steps to shield her emails from federal public-records and freedom of information laws. Then there are her financial backers. Many Democrats are sympathetic to Occupy Wall Street and to the notion that wealthy special interests on Wall Street are rigging the system by buying off politicians. Who is more bought off than Clinton? It isn’t just her campaign coffers and her family’s foundation that benefit from Wall Street money. Her family’s private accounts are flush with funds from big banks, including at least one that benefitted from her tenure at State and paid her husband seven figures for a speaking gig. It is naive to think that she won’t look out for the interests of Big Finance in Washington. And on social issues like gay marriage and police misconduct her approach has been to lag public opinion rather than to lead it toward an embrace of progressive reforms. 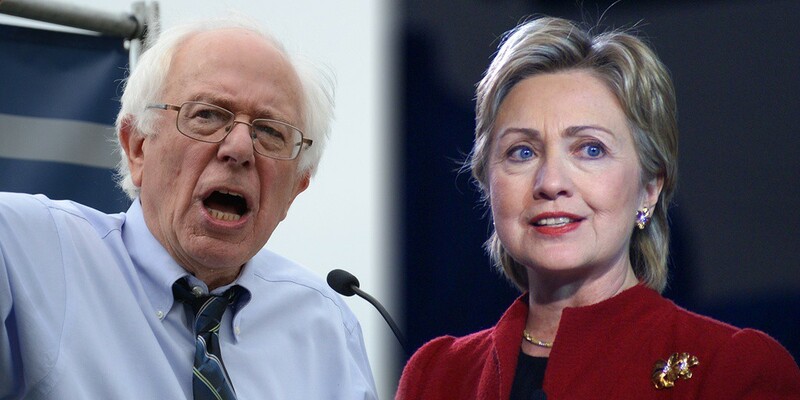 Bernie Sanders has exposed Clinton’s electoral weakness. Her response to the email scandal has reminded voters how willing she is to dissemble. At the very least, Clinton’s weaknesses suggest that a coronation would be a folly––and one without any apparent upside. Friedersdorf’s argument elsewhere in the article for more Democrats to challenge Clinton would have made sense months ago, when most Democrats were afraid to enter the race because of the fallacious belief that Clinton’s victory was inevitable. At this point it would be very hard for other candidates to launch a campaign unless they have considerable name recognition and connections, such as Joe Biden or Al Gore. Gore’s name comes up occasionally, but there is no sign he has any real interest, and Biden has not yet decided. Democrats who were afraid of the challenge of taking on Clinton six months ago when they thought her victory was inevitable are unlikely to take up the challenge of entering the nomination battle at this late date. While this might change if Biden gets in the race or O’Malley’s campaign should come back from the dead, at this time Sanders is the only viable alternative to Clinton. Friedersdorf arguments against Clinton are the reasons why liberals should vote for Bernie Sanders. This article also reminded me of another article I’d recommend at Truthout, Five Reasons No Progressive Should Support Hillary Clinton. The article summarizes Clinton’s conservative record on Foreign Policy, the Economy, the Environment, Civil Liberties, and Culture War issues. I would add a sixth–government transparency and ethics, but note that this was written in February, before the email and Foundation scandals. Posted in Al Gore, Bernie Sanders, Civil Liberties, Democrats, Economy, Environment, Foreign Policy & National Security, George Bush, Hillary Clinton, Iraq, Joe Biden, Martin O'Malley, Politics, Scandals, Separation of Church and State, Social Issues. Tags: Al Gore, Bernie Sanders, Civil Liberties, Environment, Hillary Clinton, Joe Biden, Martin O'Malley, Politics, Social Issues. RSS feed for comments on this post.. TrackBack URL.